Applications for two summer educational programs at the Translational Genomics Research Institute (TGen), both sponsored by Helios Education Foundation opened on January 3, 2018. The summer of 2018 will mark the first class of a new program — TGen Bioscience Leadership Academy — designed exclusively for high school students who are looking to elevate their understanding of bioscience and precision medicine. 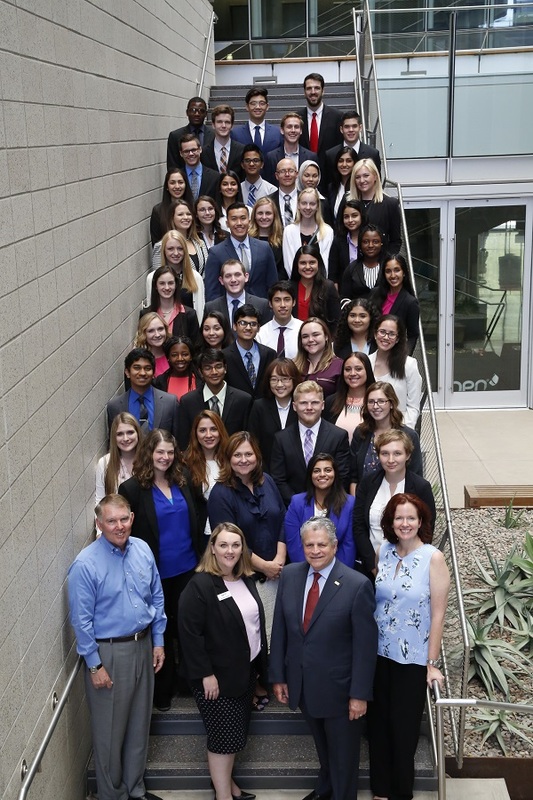 Up to 20 high school students from across Arizona will spend two weeks with TGen’s world-class scientists, learning advanced scientific and professional skills. This new Helios program builds on the success of the ongoing Helios Scholars at TGen, which for 11 years has provided up to 45 students each summer with an eight-week paid internship, preparing the next generation of Arizona bioscience researchers and physicians. Helios Scholars at TGen is now designed exclusively for undergraduate and graduate college students, including those in medical school. Since 2007, 464 students have participated in this program, which previously was open to a few exceptional high school students. One of those high school students was Rachel Zoneraich, now 17, who is a senior this year at Scottsdale Preparatory Academy. As a Helios Scholar this past summer, she experienced an enriching cultural and scientific atmosphere while studying a blood cancer called Multiple Myeloma. By initiating a separate program for high school students, TGen and Helios will enable more of those students to participate. Helios Scholars at TGen generates nearly 500 applicants annually, and Euber expects that TGen Biosciences Leadership Academy will be as competitive. “TGen Bioscience Leadership Academy will be a creative and challenging way for these younger students to advance to a higher academic level, preparing them — as with Helios Scholars at TGen — for success in college and career,” said Paul J. Luna, President and CEO, Helios Education Foundation. 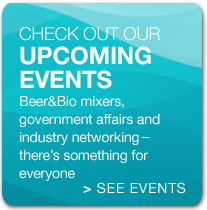 TGen scientists will share research expertise and technical skills, lab shadowing, bioethics, experimental design, and the translational process of quickly moving laboratory discoveries into new therapeutics to benefit patients with neurological disorders, infectious diseases and many types of cancer. Students selected for both TGen Bioscience Leadership Academy and Helios Scholars at TGen also will receive guidance in science communication skills, public speaking, interdisciplinary and collaborative workplace skills, and networking. Both programs are designed to: increase access to academic experiences for underrepresented populations; demonstrate TGen’s and Helios’ leadership in innovative bioscience education; and enable graduates to become peer models who can inspire other students to achieve. Applications for both programs open Jan. 3, and close Feb. 9. The inaugural class of TGen Bioscience Leadership Academy runs June 18-29. Applicants must be 16 by the time the program starts, and in the fall entering their junior or senior year of high school. Only one student will be selected from any one Arizona high school each year, ensuring participation from as many as 20 schools. Each student receives a $1,000 scholarship. 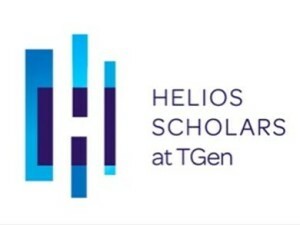 Helios Scholars at TGen will commence June 4, and end July 27 with a daylong scientific symposium, showcasing the students’ accomplishments. Helios Scholars earn an hourly wage that varies with experience. For more information, please contact Julie Euber, TGen Manager of Education and Outreach, at jeuber@tgen.org or 602-343-8459, or go to www.tgen.org/education. Translational Genomics Research Institute (TGen) is a Phoenix, Arizona-based non-profit organization dedicated to conducting groundbreaking research with life changing results. TGen is focused on helping patients with neurological disorders, cancer, diabetes, and infectious diseases, through cutting edge translational research (the process of rapidly moving research towards patient benefit). TGen physicians and scientists work to unravel the genetic components of both common and rare complex diseases in adults and children. 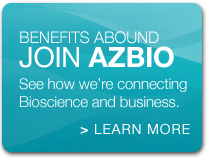 Working with collaborators in the scientific and medical communities literally worldwide, TGen makes a substantial contribution to help our patients through efficiency and effectiveness of the translational process. TGen is affiliated with City of Hope, a world-renowned independent research and cancer and diabetes treatment center: www.cityofhope.org. This precision medicine affiliation enables both institutes to complement each other in research and patient care, with City of Hope providing a significant clinical setting to advance scientific discoveries made by TGen. Helios Education Foundation is dedicated to creating opportunities for individuals in Arizona and Florida to achieve a postsecondary education. The Foundation’s work is driven by four fundamental beliefs in Community, Investment, Equity and Partnership. Helios invests in programs and initiatives across the full education continuum – from early grade success through postsecondary education. In Arizona, where Latino students comprise the largest percentage of the K-12 public school population, the Foundation is implementing its Arizona Latino Student Success initiative focused on preparing all students – especially students in high poverty, underserved Latino communities – for success. Through Helios’ Florida Regional Student Success Initiative, the Foundation is helping underserved, minority, first-generation students from the state’s large population centers in Miami, Orlando and Tampa achieve a postsecondary education. Since 2006, the Foundation has invested more than $200 million in education programs and initiatives in both states. 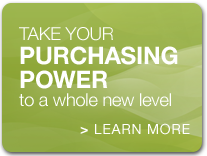 To learn more about Helios, visit us online at www.helios.org.